My friend Amy and I went to go pick blackberries today at the Fruit and Berry Patch. We definitely got a few! Well, when we got back to my house, we knew we needed to make something with all those blackberries. Then I remembered! 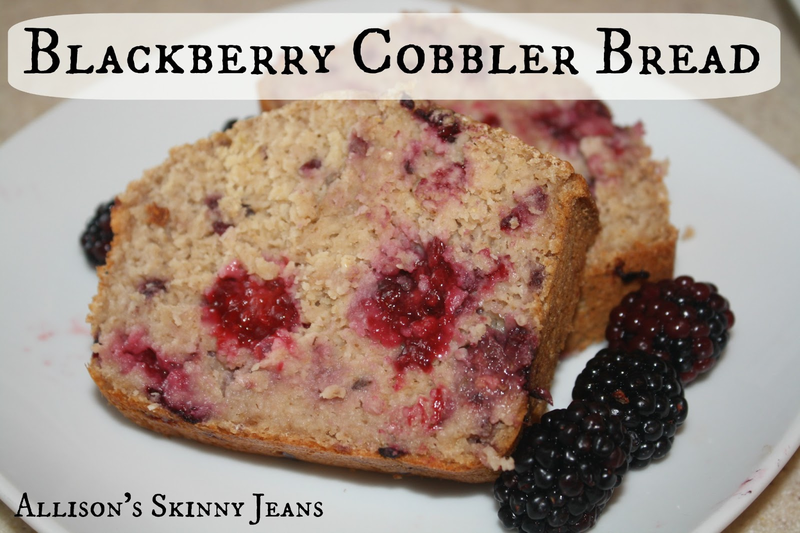 My guest blogger Ashley from Whole Foods New Body shared an amazing recipe for Clean Eating Blackberry Cobbler Bread! Well, it was time to give it a try! We whipped up two batches so we could each have a loaf. 50 minutes later we had scrumptious (and healthy) bread! Now I just need some homemade blackberry jam to go with the bread! Make sure you check out the recipe. If you cut the loaf into 8 slices, it's approximately 180 calories a slice. Stay tuned, there will be more blackberry recipes to come - trust me! I have plenty of blackberries and I'm excited to use them! 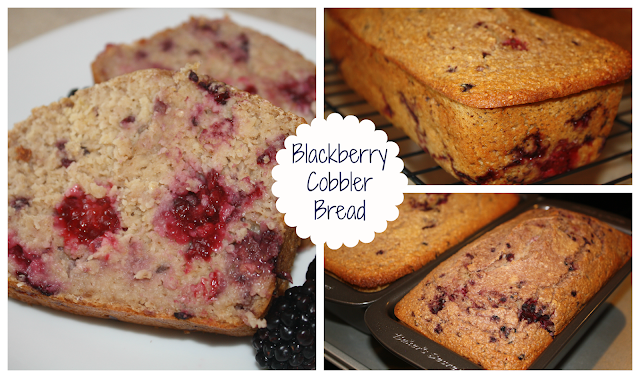 Your blackberry cobbler bread looks cozy and yummy, (and pretty professional!). Thanks for sharing the sweetness! Poppy - thanks so much for the compliment! You should definitely try it - our loaf didn't last long!